We spend around a third of our lives in bed, which is why we should adorn our bedrooms carefully. From color scheme to lighting and comfort features, there are many points to consider to create an atmosphere for relaxation. Below you will find a list of five things I would like to add to my bedroom to feel safe, comfortable, and relaxed. 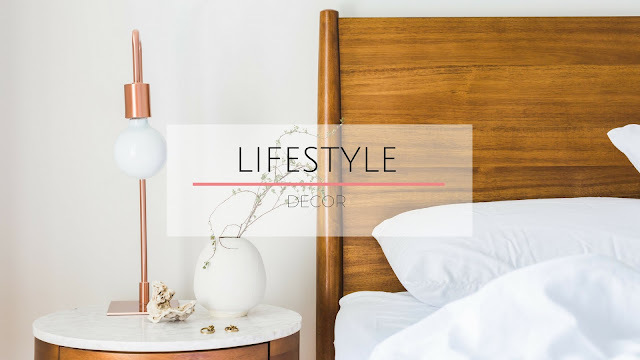 If you like spending time reading a book or catching up with social media in bed, you should consider creating the right atmosphere for each activity by installing ambient lighting. Don’t let the TV screen distract you when you are trying to relax: while many people believe that a TV in the bedroom is a comfort feature, it can actually prevent you from falling asleep. Piles of clothes in the corner or on the back of a chair will not give out a good vibe, and restrict the flow of energy. Make sure your bedroom is an organized space before going to sleep, by adding extra hangers and clothes organizers. Most are designed to fit nicely under your bed, or hang behind a door to maximize storage space. Consider switching from your phone's alarm clock to a radio alarm that starts off quietly and increases the volume gradually. You won't have to wake up to the same tune every morning, and it gives you some time to get used to the idea of getting out of bed, especially if you are not a morning person like me. There is no better way of getting your brain alert level up than listening to the morning news or your favorite chat show. Comfort features, such as a blackout curtain that can be adjusted without having to get out of the bed are very useful. Talk to Million Dollar Makeovers to find out more about technology that can help you get a better night’s sleep every night. Choose your own convenience features and enjoy a bedroom that works for you. Getting the most out of your personal space is important. Make sure your good night’s sleep is guaranteed every night.